Members of the cast of The Duchess a.k.a. Wallis Simpson. Photo by Tim Matheson. Real-life fairy tales are few and far between. In the last hundred years only two come to mind: Grace Kelly and Wallis Simpson. But don’t let any of the fantasy fool you, those stories often have a darker centre. And as we discover in Linda Griffiths wonderfully crafted The Duchess: a.k.a. Wallis Simpson, the “love story of the century” is not necessarily all about love. 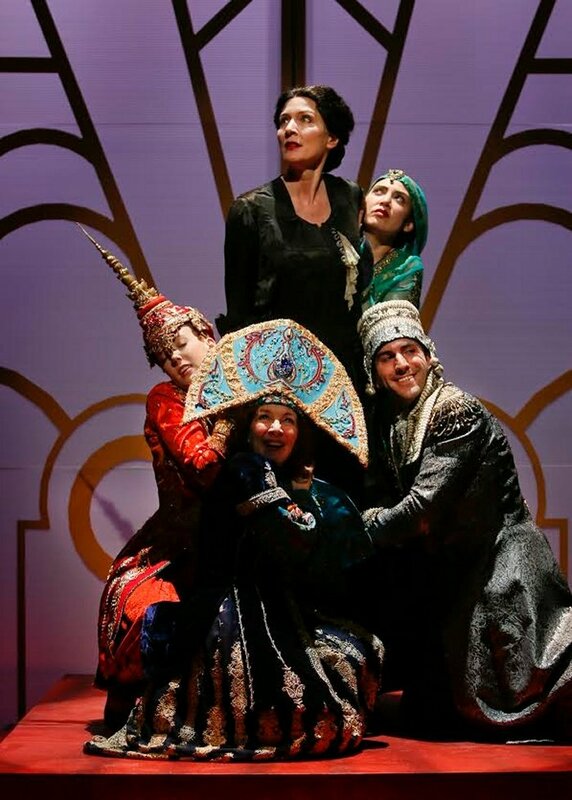 Ultimately, any production of The Duchess a.k.a Wallis Simpson is only as good as the actor in the title role. Diane Brown’s stunning performance makes this production a success. Setting the tone quickly, Simpson declares “let’s get wicked” as the exploration of her relationship with the man who would ultimately abdicate his throne to be with her, is set against a backdrop of a tumultuous time in history. This is finally Simpson’s story to tell as she rises from the grave to tell it from her perspective, embracing full-on that “wicked” mix of truth, rumour and innuendo that surrounded her relationship with King Edward. This is a Simpson who is unafraid of who she is, and what she did to get what she wanted. Diane Brown is absolutely breathtaking as Simpson. Brash, crass and full of ambition, she plays the woman who could topple a King with a delicate that makes it near impossible not to like her; despite revealing much of the uglier side of her motivations, Brown is so effective in the role that we actually root for her. She also has one of the strongest voices of the night without an accent, which from our vantage point in the balcony, was a blessing at times. As the man who-would-not-be-king, Craig Erickson finds a sobering melancholy among the chaos that was the couple’s life together. Diane Brown (center) as Wallis Simpson. Photo by Tim Matheson. 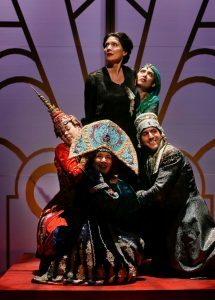 Director Sarah Rodgers returns to Simpson’s story by way of a 2012 production at the University of British Columbia. With just enough time passed, thankfully any comparison is impossible, but she does bring with her to the professional stage a number of the cast members from that earlier production. 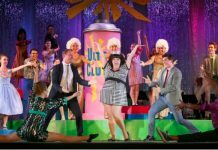 Foremost among that returning cast is Xander Williams as the narrator and confidante to Simpson who once again proves his worth as he acts, sings and plays a trio of instruments. Unfortunately, director Rodgers places him at the piano at such an odd angle that some of his performance at the keyboards is simply lost. Other returning players include Georgia Beaty, Joel Garner, Matt Reznek. Stand-outs among the ensemble include Beaty who does a very funny job in a caricature of Queen Mary, and Eileen Barrett finds depth as the bitter sister-in-law Elizabeth. Reznek reprises his role of Hitler with great results. Set designer Michael Bock gives a wonderfully evocative art-deco set, although the moveable platform became a distraction at times. Mara Gottler’s costumes are as gorgeous as Brown’s performance. The Duchess a.k.a Wallis Simpson by Linda Griffiths. Directed by Sarah Rodgers. A Ruby Slippers Theatre production. 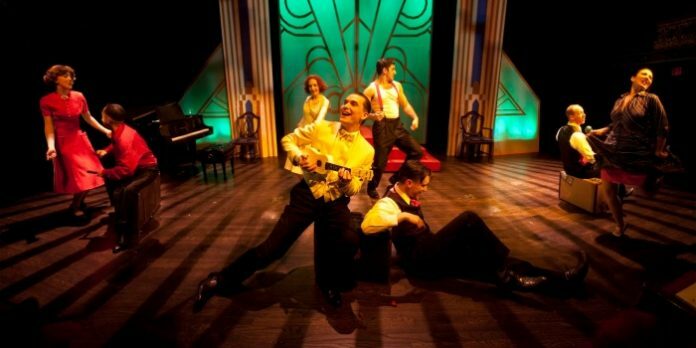 On stage at The Cultch until April 18. Visit http://thecultch.com for tickets and information.